Look out below! 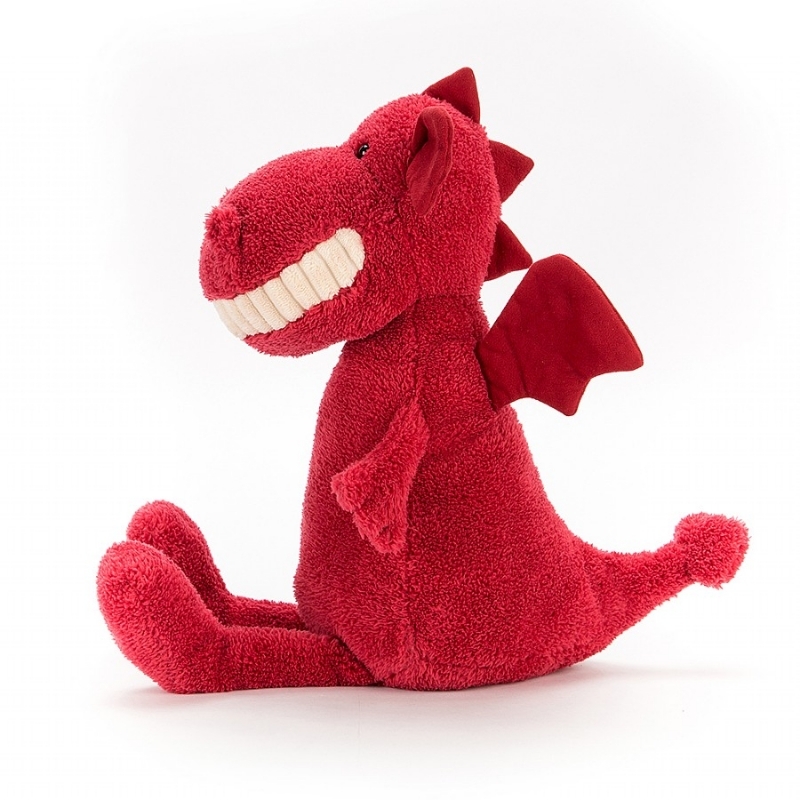 Toothy Dragon is zooming into view! 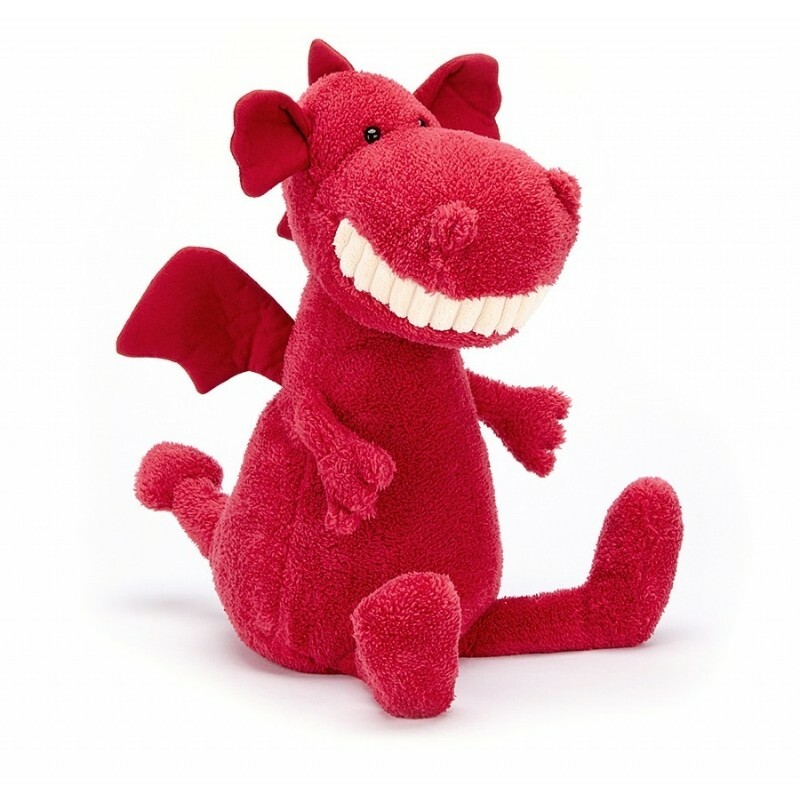 But this cherry dragon isn't scary - look at that cordy grin on his face. He just dropped in for a goodnight story, where the dragon defeats the mean old knight! Stroke his wings, soft spines and tail and snuggle up with a very merry dragon!